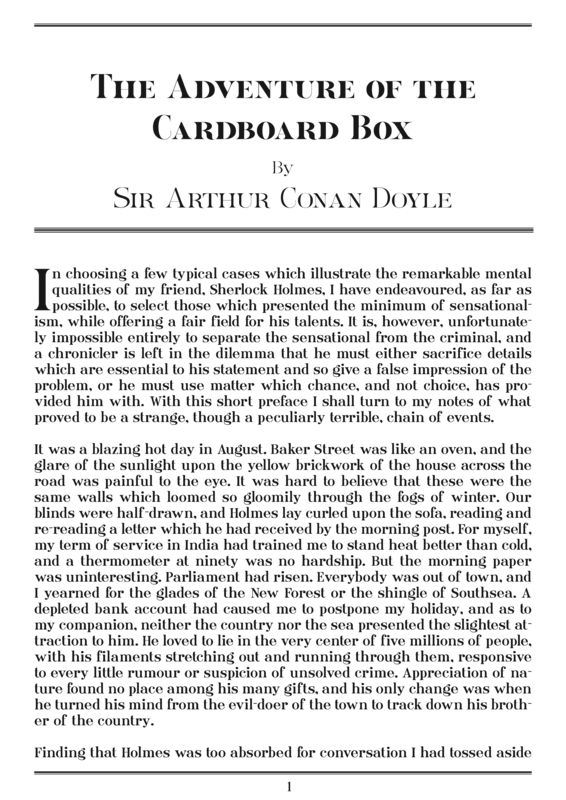 This Sherlock Holmes short story is typeset using Ames’ Text for the body text and Ames’ Roman for the headings. Thanks are due to Sir Arthur Conan Doyle of the text. Why not download a pdf of the whole document here?